Regularly maintaining roofs will ensure that your house is safe and increases the overall look and value of the house. Roofing tips and information can help the Homeowners and Businesses to inspect the roof and look for issues and then call the Professional roofing contractors like Poskitt Roofing, before the damage increases. The roofing system is made of different structures working together and all the parts should be in good working order. Good maintenance will lead to a roof that will last for more than 30 years without a problem. Read our Tips and if you notice any issue call us today for a Free Roofing Estimate. 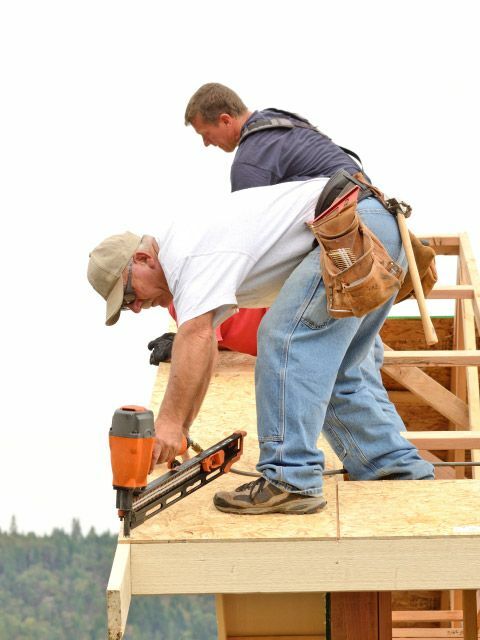 Poskitt Roofing located in Saanichton and serving Victoria and Surrounding Areas for Roof repairs, New Construction and Roof Replacements. Hailstorms are extremely difficult to protect against because they aren't all that easy to predict. They can strike out of the blue and leave you scrambling to protect your car, your garden, and, of course, yourself! Your roof, too, can sustain damages during a hailstorm that may be costly to repair and that may put your entire home at risk. Can Your Roof Survive Another Winter? Winter is the toughest time of year for a roof, even in mild Victoria, BC. With more rain falling during the winter months than during any other season, it is important to make sure that your roof is in good condition. Leaks can be damaging and costly, and so are better avoided than dealt with after-the-fact. Metal roofing is becoming an increasingly popular choice for new construction and re-roofing projects in North America. Many people are doing research and discovering that their home could greatly benefit from a metal roof. Let's take a look at what some of these benefits are, as well as what types of metal roofing are available for your home. Your roof was designed to last and protect your home for decades after its installation. The only way to ensure that your roof reaches its potential longevity, however, is to perform regular maintenance on it. Keeping an eye on your roof can help prevent leaks and damages that may lead to the need for costly roof repairs or an even costlier roof replacement.